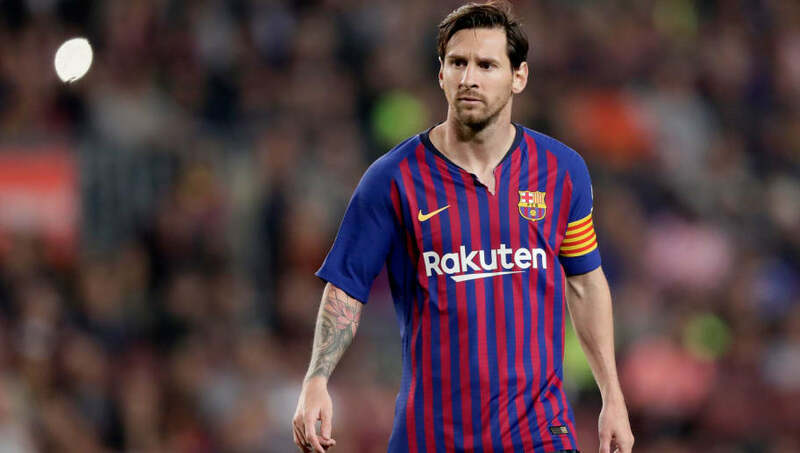 Manchester City boss Pep Guardiola has denied reports claiming he tried to sign Barcelona superstar Lionel Messi for his side. Guardiola worked with the Argentinian attacker before quitting Barca, later taking up the reins at Bayern Munich, and he claims he has never approached any of his former clubs to say he wants one of their players. ​“When I left Barcelona and went to Bayern Munich and Manchester City I never asked Messi to come here," Guardiola said, via Standard Sport. "I never went to both clubs and said I want this player." Recent reports state that City were ready to pay Messi's €250m release clause, as well as offer him £220m in wages over a five-year period. Guardiola, though, looks to have put the rumours to rest. Meanwhile, the Premier League champions will be without Kevin de Bruyne for four to six weeks, with the Belgian suffering ligament damage to his left knee during City's Carabao Cup win over Fulham on Thursday after only just returning from a lengthy spell brought about by ligament problems in his right knee. The midfielder will undergo treatment but will not require surgery. “This kind of injury is unlucky. He’s so strong and he’s recovered so well. It was more dangerous than this one," Guardiola said. “We are a stronger team with Kevin than without him, but we have to live without him,” he added. “I was so sad, I didn’t see him after the game. The next day he’ll be strong again. he’ll spend the time with his new [baby] boy.